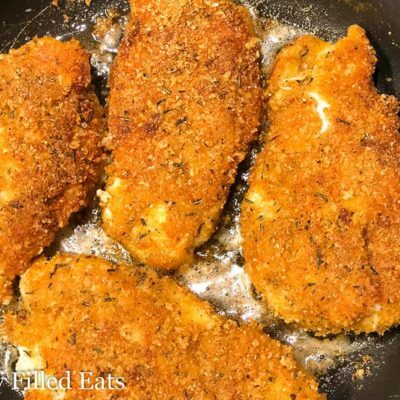 This Super Low Carb Gluten Free Southern Style Breaded Chicken Breast comes to you from Jen of From My Side of the Kitchen. 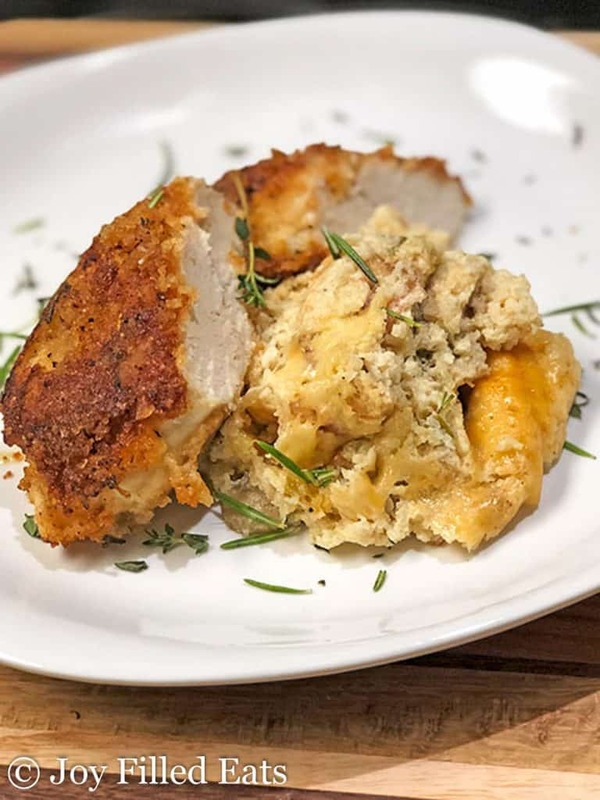 With her ingenious blend of pork rinds, cheese, and spices you will never miss traditional breaded chicken breast again. I can’t wait to try this in chicken parm and sliced on top of a crisp salad. Jennifer Krider is a 44-year-old married mother of 7. She and her husband have blended their two families and live a big crazy life and love every single second of it. Jennifer has owned a catering company, worked as an executive chef, taught cooking classes and currently produces, alongside her daughter, a live cooking segment on Facebook and writes an (almost) weekly blog, From My Side of the Kitchen While Jennifer is not currently living a low carb gluten free lifestyle she has in the past and absolutely understands the life and health benefits of this way of eating. Jen: In 1999 I was 26 years old, the mother of 2 beautiful little girls and around 90 pounds overweight. I, like many other women, was so consumed with the care of my family that I had forgotten about the care of myself. My very best friend had just gotten engaged and asked me to be in her wedding. I was so happy for her but at the same time knew I needed to do something about myself. There was no way I was going to be “that” bridesmaid in her wedding. One challenge for me in sticking to this lifestyle was boredom. Keep in mind this was 1999, even though the internet was made public in 1991 and the Food Network went live in 1993 at the time neither of those resources were an option for me so inspiration was somewhat limited. The second big challenge was keeping my husband content. I was married, at the time, to a red-blooded, All-American, farm boy who was raised on stick to your ribs comfort foods. If I was going to get any support at all I needed to keep him fed and happy. Lettuce wraps and salads every day were not going to cut it. 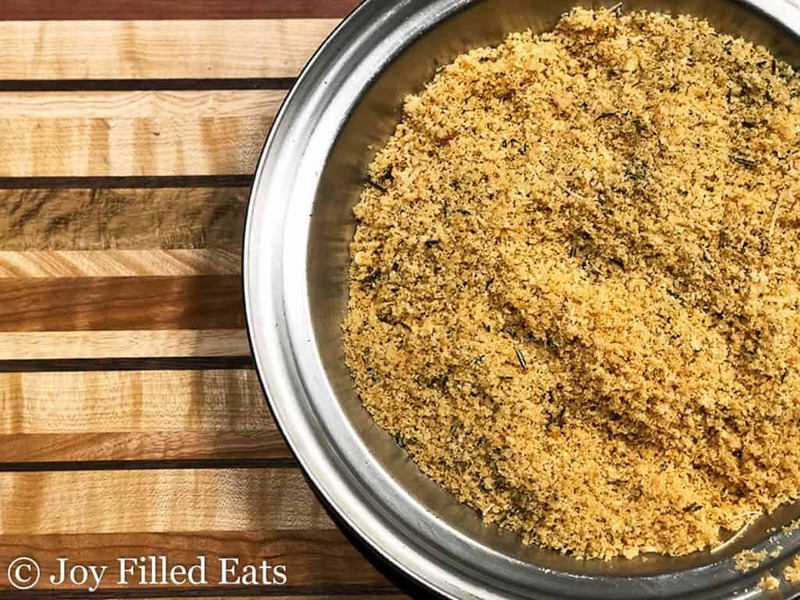 With an ingenious blend of pork rinds, cheese, and spices you will never miss traditional breaded chicken again. 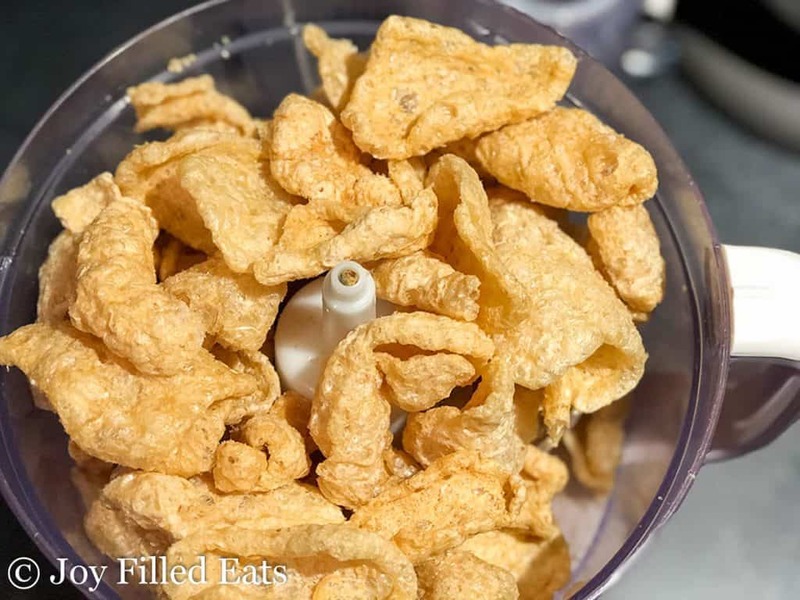 Using a food processor puree the pork rinds until they are the consistency of sawdust. 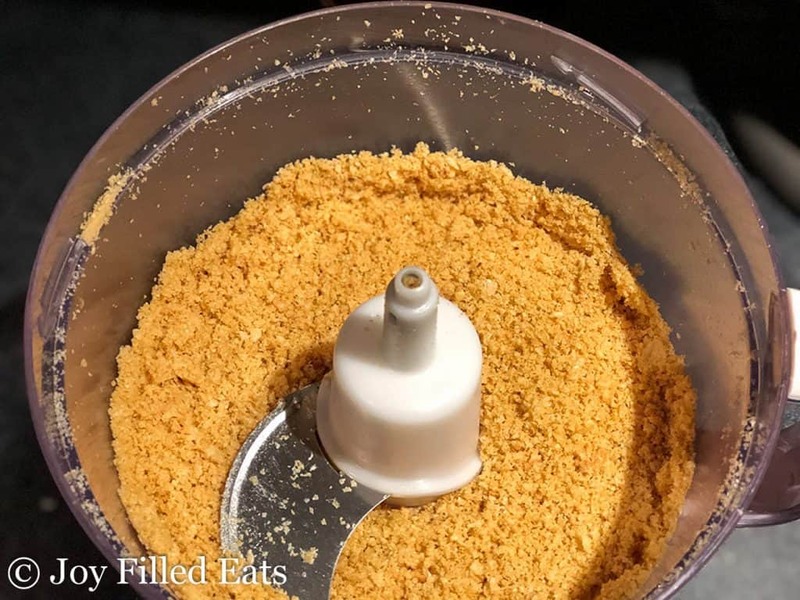 If you don’t have a food processor you can place the pork rinds in a gallon size plastic storage bag and crush them with a rolling pin. Place each chicken breast between 2 pieces of parchment paper. Using a meat hammer (or the edge of a plate) pound the thick end of the chicken breast out so that it is close to the same thickness all the way across. This will help ensure even cooking time! In a shallow pan (I use a 9x13 baking dish) combine pork rinds, parmesan cheese, garlic powder, salt, pepper and minced fresh herbs. (Don’t skimp on the herbs!!!) In a separate shallow pan combine the beaten egg and the heavy whipping cream, mix well. Place chicken breasts one at a time first in the egg cream mixture and then the pork rind breading mixture. Be sure to coat chicken completely. A good tip is to press down firmly on each side of the chicken when you are coating it with the breading. You want the breading to really stick! Continue this process until all of the chicken breasts are breaded. Heat extra virgin olive oil in a skillet or frying pan on medium heat. When the oil starts to have a marbled appearance it is a good indication it is ready. Next place chicken breasts in heated skillet. Allow chicken breast to really sear before turning them over. This will take about 4 to 6 minutes and you will see a great golden brown appearance. Turn chicken breasts over and cover your pan with a lid. Cook chicken for an additional 6-8 minutes or until your chicken breasts reach an internal temperature of 165°. 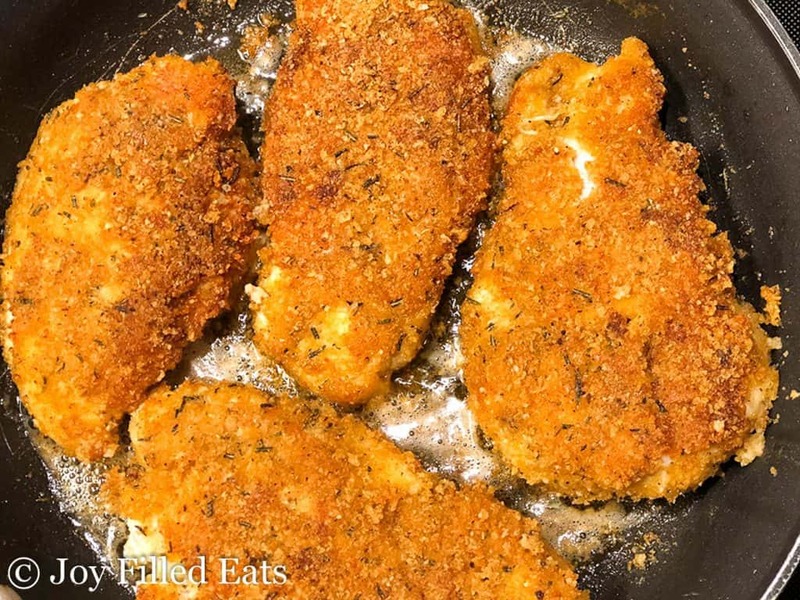 Not only is this breaded chicken breast dish fabulous as the main feature on your dinner plate but leftovers will go perfectly chunked into a salad or cut into strips in a lettuce wrap! Just a little side note; this breading is also excellent on pork chops, fish and country fried steak! A lot of Jen’s viewers love the cutting board in the photos. They’re hand-made in South Whitley, Indiana. « 1 Year Trim Healthy Mama Membership Giveaway! Hi! I am excited to try this. I see a couple of different sized bags of pork rinds in the store. What size am I supposed to get for this recipe? Thanks! Get a big bag and get 1 1/2 cups of ground pork rinds to the 1 cup of shredded parm then add the rest of your seasonings/herbs. I'd suggest doing a test piece or 2 and adjust things if needed to suite your tastes. Wow, gave this recipe a try last night and I absolutely could not believe how good it came out!!! It was easy and full of flavor. I will make this again and again! Hello! Wow, what an idea! I bet the crust is so incredibly tasty with those pork rinds added. My toddler has just started to eat this sort of thing, so I'll give this a try soon! I love that you use pork rinds instead of flour. I bet the flavor on these are out of this world! I would love to win the THM membership. It has been a rough 18 months i had kidney cancer and lost my left kidney, stage 1 so I am going to live bit i have gained weight, need to lose 85 pounds and have to do it the healthy way. i would love the membership and support that it would give me and think it would keep me accountable. 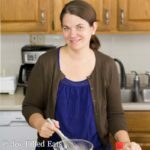 I would like to win because I'd love a yr.membership with Trim Healthy Mama , help with menu building , having access to new recipes, and would seek to find helpful hints if I have wt. loss stall(s) along my wt.loss journey.